e2w8YmV39BFpyHtPtwUJvswNIWk Overflowing Ideas..: The person you was and the person you are now...!!! 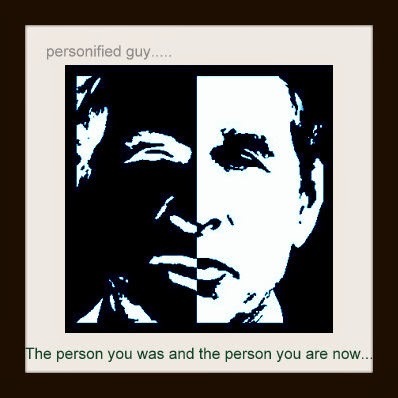 The person you was and the person you are now...!!! One can easily observe the changing faces of person... they can be your friends, relatives, business partner, girlfriend, boyfriend, neighbor, or anyone else. You too even sometimes think why this person is behaving like this ?? Is it because of your fault ??? It can be. Or is there any personal problem with him or her ?? Well on can tell this. It has a very diplomatic answer.